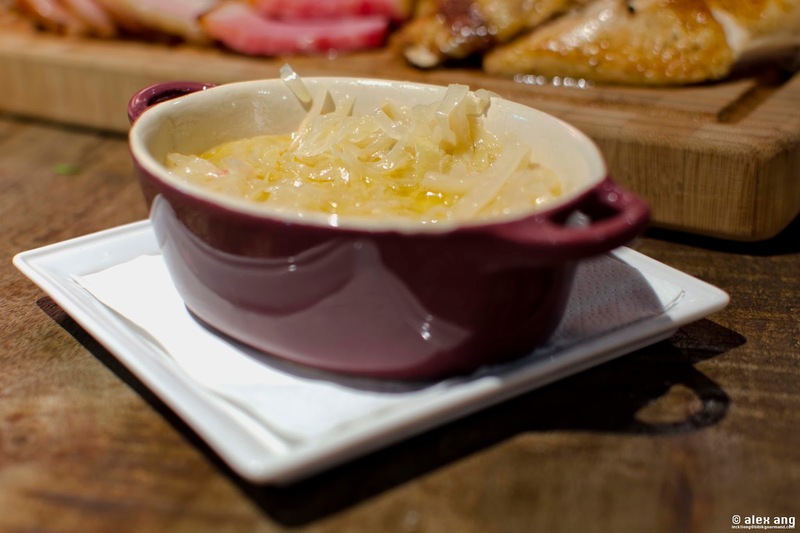 The blogosphere is abuzz with reviews of a new eatery that swung open its doors since early July 2013. Set in a corner-hugging, glass-sheathed space on the ground floor of Amara Hotel (next to the hotel’s lobby), Bar-Roque Grill (“Bar-Roque”) has made a grand entrance befitting its Baroque-inspired name and its florid interior says it all. The terracotta-hued 38-seat main dining room with weathered wood tables is framed on the right by a 10-seat chef’s table that runs alongside an open-concept stainless steel-clad kitchen surrounded by a stonewalled counter. A row of wood and metal-mesh shelves showcasing jars of homemade pickles and macerated rums lines the left wall and, beyond this, a short flight of stairs leads downwards to a 20-seat semi-private room shielded from curious eyes by flowing aluminium-scaled drapes. 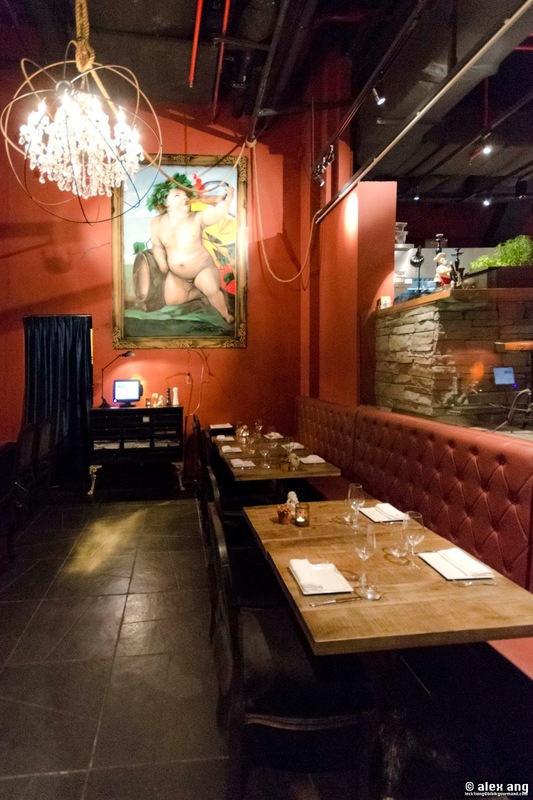 Styled in Baroque splendor, this chandeliered salon with towering ceiling features the restaurant’s biggest eye candy: a wall-hung painting of a wine-guzzling cherub commissioned by the owners. If you prefer to bask in Singapore’s humidity, the sheltered outdoor patio – which we hear, is popular for events – packs in an additional 30 to 40 pax. Yes, Bar-roque’s interior is stunning but this does not detract from the star power of the owners: Stephane Istle, a native of Alsace who spent 9 years with Daniel Boulud including 3 years in Singapore helming the kitchen of db Moderne, and his business-and-life-partner, Kori Millar, a Kiwi who led the operations team at Osia before jumping ship to Sky on 57 as General Manager. 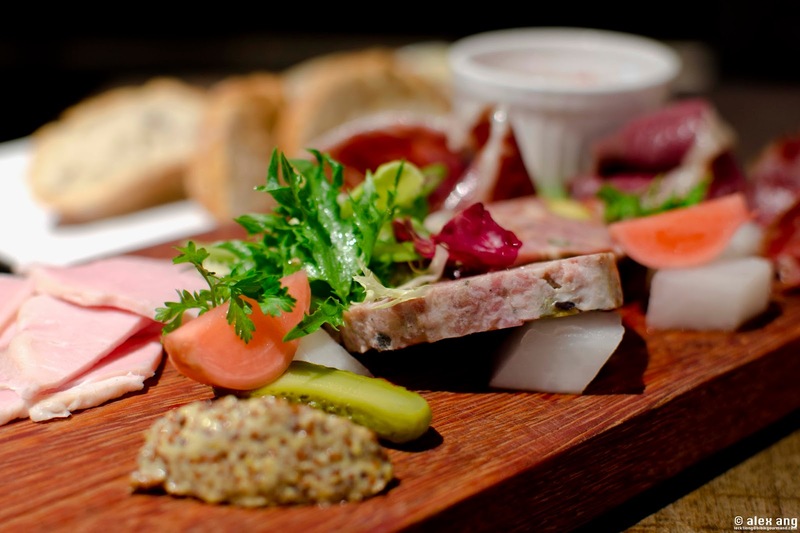 Given Istel’s culinary training, Bar-roque’s cuisine is very much anchored in French culinary tradition but the menu of rustic French also incorporates some Mediterranean and Spanish influences. In Istel’s own words, Bar-Roque serves ‘food that we love to eat’ and the duo’s favourites are distilled into a menu of appetisers, aquatic delights, tarte flambee and mains – pasta, seafood and meats as well as rotisserie meats – plus sides and desserts. 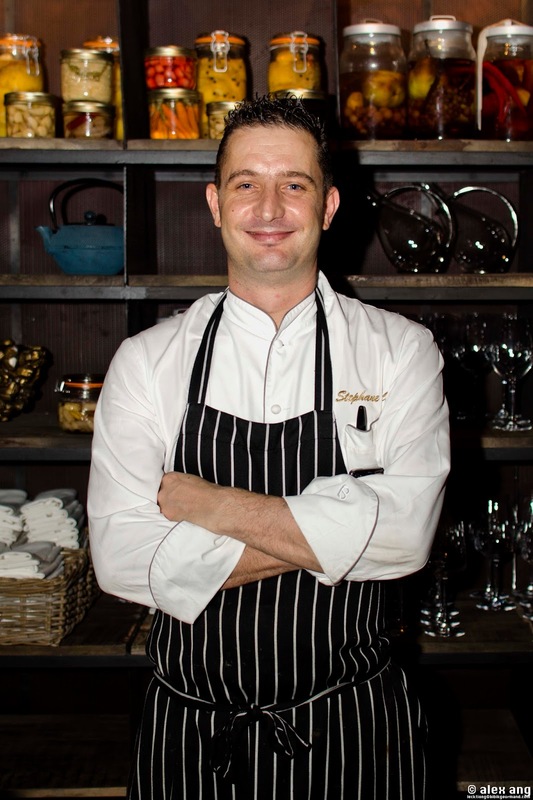 With Istel now calling the shots, he is free to pursue his passion in pickling vegetables and smoking meats, and many of these creations are showcased in the appetizer of charcuterie, cured meats and house made terrine (S$28) – including pork rillette, pistachio-flecked duck terrine, smoked duck and garlic saucisson with mesclun leaves, some pickles and a dollop of mustard. If you rather save the protein load for later, the Spanish-inspired starter of char-grilled octopus salad (S$24) is equally sumptuous. 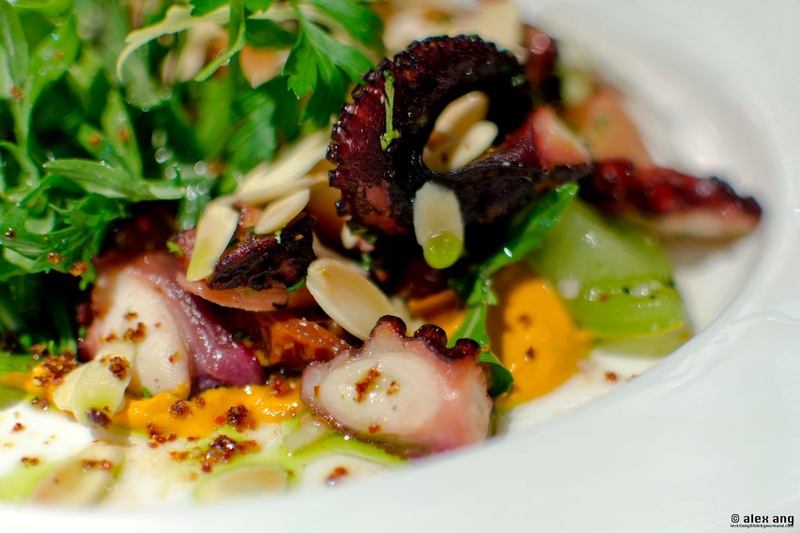 The octopus is first cooked via sous-vide for 5 hours, then smoked, char-grilled upon order and tossed in a heap of arugula leaves with confit of tomatoes and almond chips. Served in a thick Romesco coulis perfumed with multiple ingredients including bell peppers, it brings a rich and savoury vibrancy to an otherwise light dish. 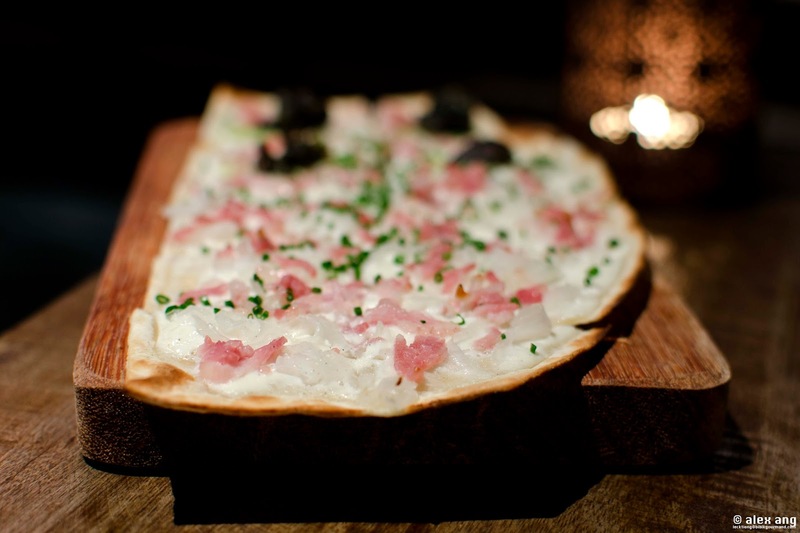 The tart flambee – an Alsatian classic– is a must-have at Bar-Roque: craggy, paper-thin rectangular pie blanketed with your choice of four different types of toppings. Go with ‘the classic’ (S$12 for small/S$20 for large) option of bacon, onion and crème fraîche to savour tart flambee’s traditional flavour. If you’re feeling adventurous, Istel’s cheeky take on ‘the sneaky’ (S$14 for small/S$24 for large) will reward with morsels of chewy snails and bacon bits on the wispy crust. Moving on to mains, you won’t want to miss Istel’s pride and joy from the rotisserie. The menu only offers 2 picks at the moment: French free-range chicken sourced from Malaysia (S$38 for whole chicken) and Australian pork knuckles (2 for S$58). If you are in a large group and wish to sample an array of Istel’s specialty, ask for the daily’s special of mixed rotisserie platter (S$108, for 3 to 4 adults). 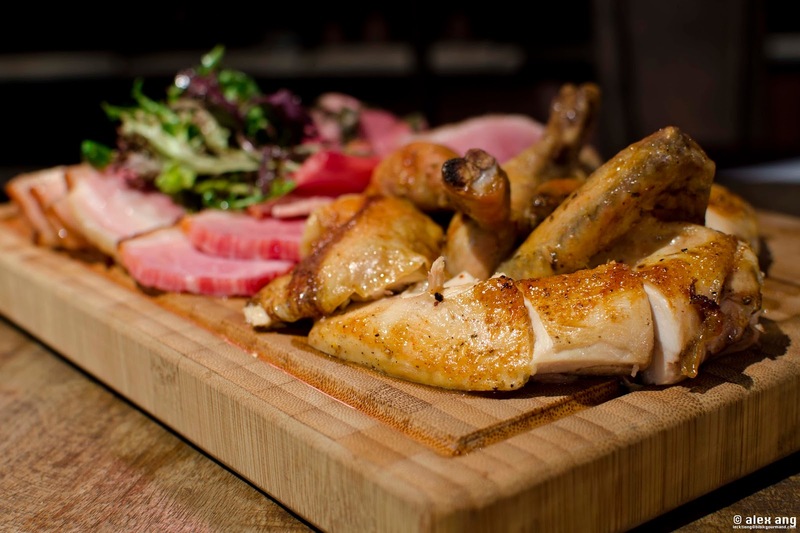 Besides offering the fixture of rotisserie-grilled chicken, the platter features an array of other meats that may include leg of lamb and/or various cuts of Kurobota pork ham. 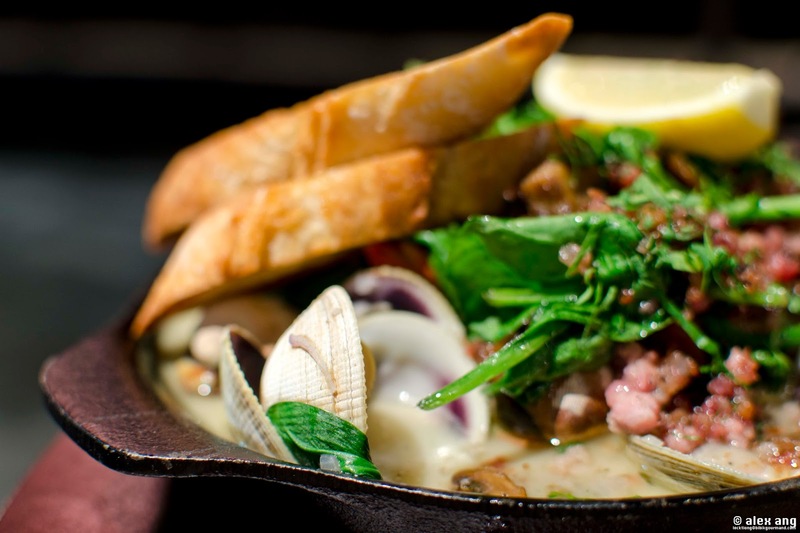 Equally hearty is the seafood alternative of New Zealand little neck clam (S$22 for appetiser, S$32 for mains) served simmering on a hotplate with garlic pork sausages, mushrooms, spinach and lashings of chopped parsley in a heavenly garlic-infused white wine broth. 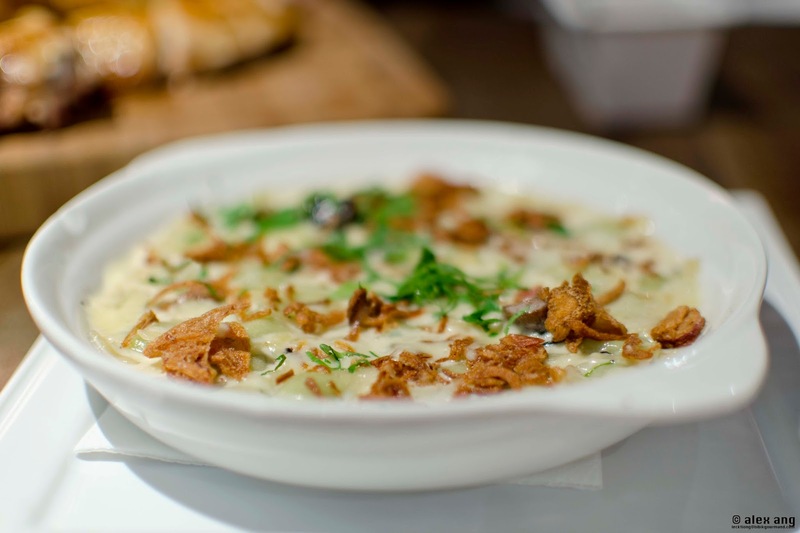 Sides – such as gratin dauphinois, truffled mash and the works – are typically downplayed at French eateries but at Bar-Roque, the sides menu is headlined by two standouts: ravioles “royan” (S$12), mini wild mushrooms-stuffed ravioli in an aged Gruyere gratin topped with shallots (a dish native to the Dauphiné region in the Rhône Alpes in France) and the peasantry yet oddly addictive sauerkraut (S$10), an Alsatian staple of stewed cabbage. Our sentiments towards the desserts are less enthusiastic. Mom’s recipe apple pie served with milk ice cream (S$12) has a lovely crumbly texture but its sweetness fails to measure up. 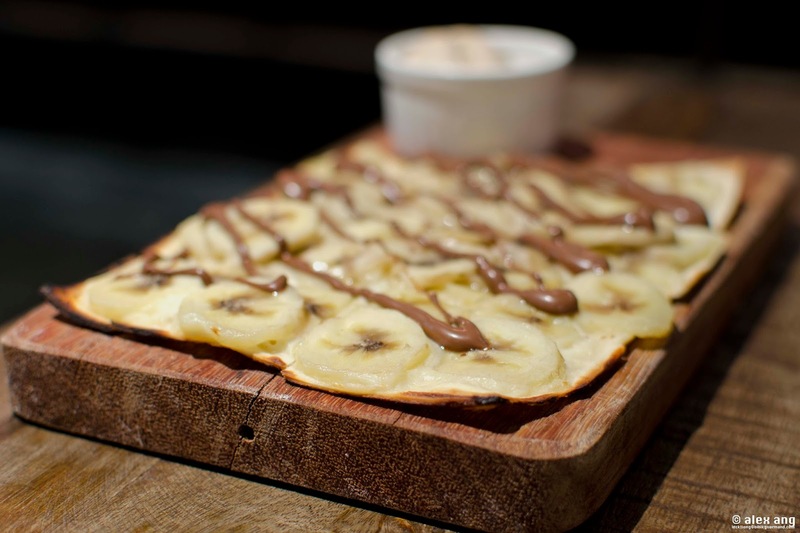 The banana and nutella cream tart flambee (price not available), is also let down by a limp crust although the flavours are pitch perfect. But the less-than-perfect sweets are minor quibbles to an overridingly glorious meal served in an equally glorious space. With Millar running the floor and Istel cooking up a storm in the kitchen, Bar-Roque is set to be the hottest table in this part of town. Reservations are highly recommended.